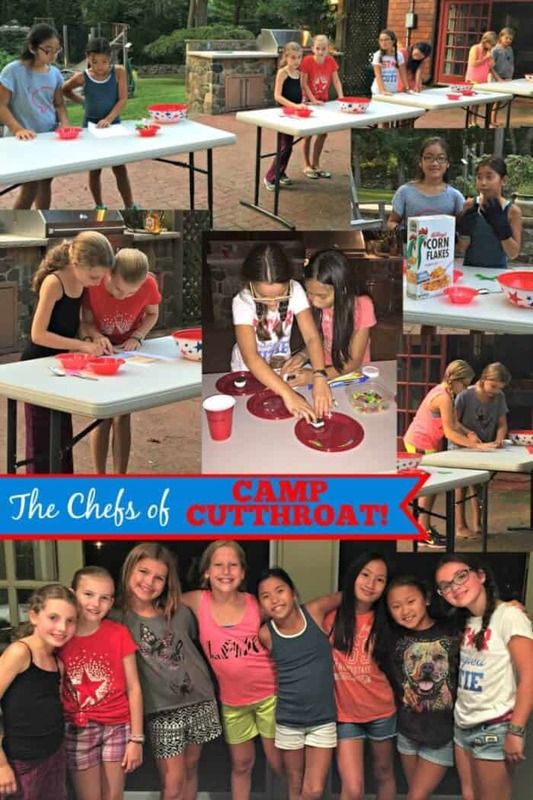 If your kids love to watch the cooking shows on the Food Network as much as mine do- then I am sure that they would love to have a Cutthroat Kitchen Birthday Party to celebrate their special day! For this party, we used the “Camp Cutthroat” episodes as our theme- where chefs had to make camp-themed food while competing in the great outdoors! 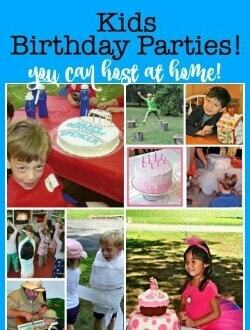 This was definitely one of our favorite kids birthday parties for tweens and teens! 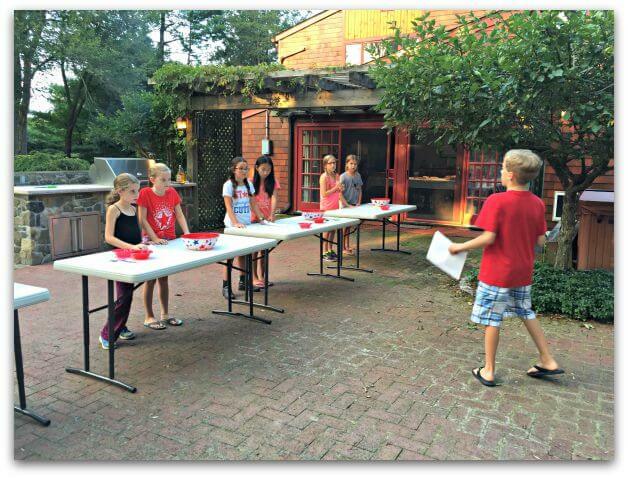 *Please note: I am just a parent who is a fan of the TV show “Cutthroat Kitchen” and created a birthday party theme that celebrates the fun of the show. 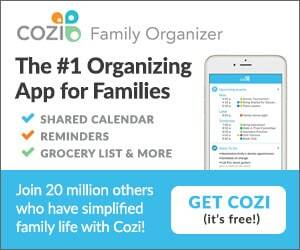 This post is in no way affiliated with or endorsed by the Food Network or Cutthroat Kitchen. All ideas and opinions expressed here are my own. 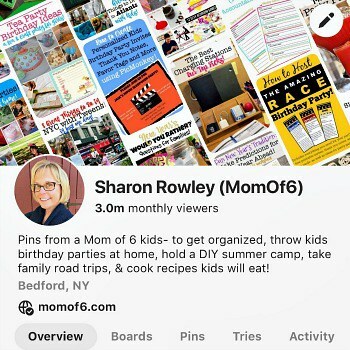 In case you aren't familiar with the TV show, it features chefs in a cook-off- where they create unique and delicious recipes to fit a specific category (appetizer, entree, dessert) in a short amount of time. But the twist to this show- is that chefs can set each other up for failure by bidding on “sabotages” to be used against their competitors- things like having to cook while blindfolded or without utensils! You can download a blank version of this party invitation as well as matching thank you for free at the bottom of this post! 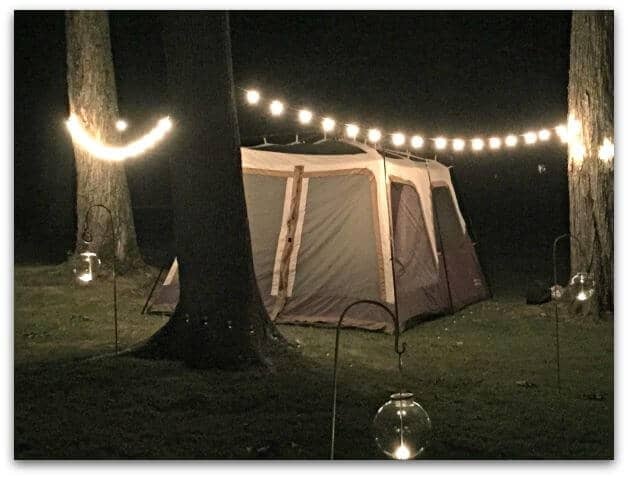 Not only did my daughter (who was turning 10) want an outdoor cooking-themed party, but she also wanted to sleep in out in our giant tent with her friends (most likely so they could stay up until the wee hours talking without parents “shushing” them from upstairs all night long). So we decided to co-theme this party- Camp Cutthroat and “Glamping”! By the way- this is what “glamping” looks like. A tent with lots of glamorous lighting! Every competition needs a prize, right? 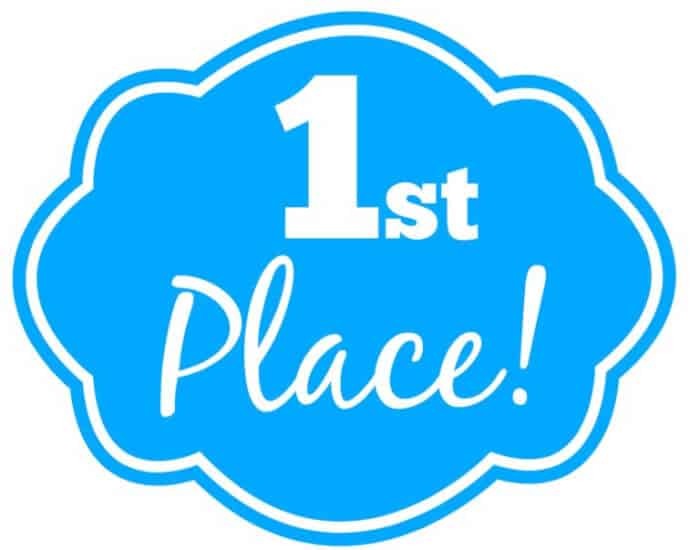 In our case, we decided the “currency” of the party, as well as the 1st place prize, would be Hershey's Kisses (the birthday girl's favorite candy!). We filled two glass pasta sauce jars to the top with kisses and added this label and a ribbon to “pretty them up”. 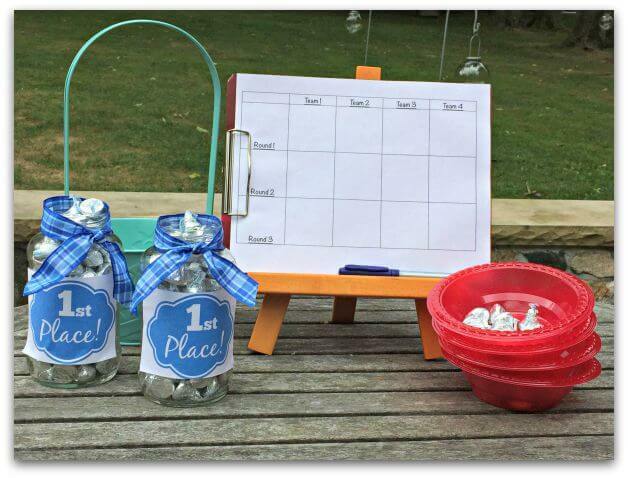 We also placed 10 kisses in each of 4 bowls which the teams would later use as “money” to bid on the sabotages (more on that later). We created a quick grid sheet to keep track of every team's scores as we moved through the competition (unlike the TV show, we did not want to eliminate a team with each round, as this is a party and everyone wants to participate!). 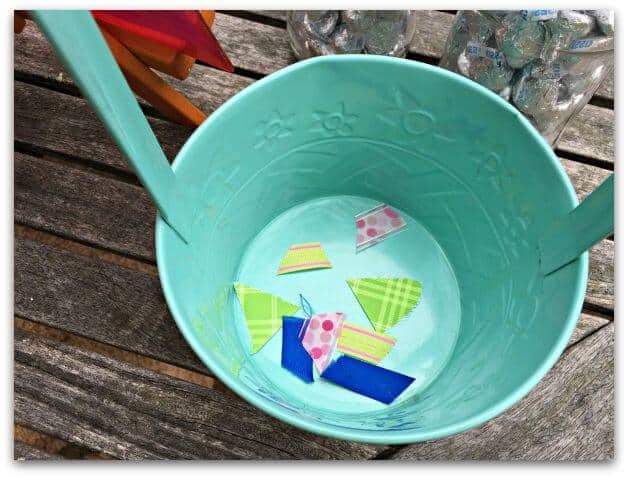 And to facilitate picking teams, we placed two pieces of 4 different kinds of ribbon in a bucket. Each girl reached in, picked a small piece of ribbon and hid it in her fist until everyone selected a ribbon, and then we asked everyone to “reveal” at once. The guests found their ribbon-mate and ta-da we had teams! 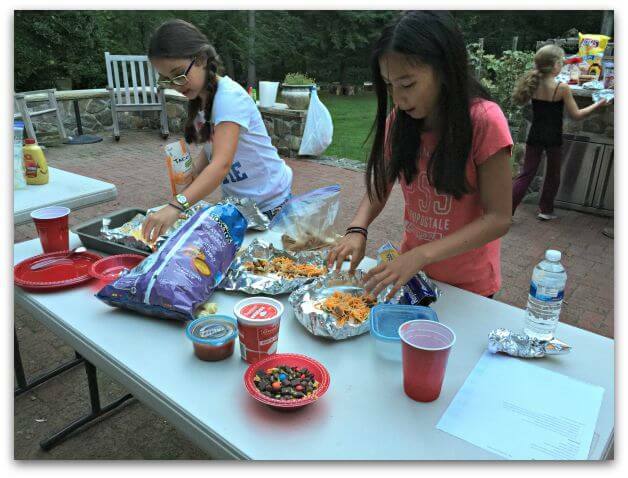 Siblings and parents took turns serving as one of the three judges for the three rounds of cooking competitions. 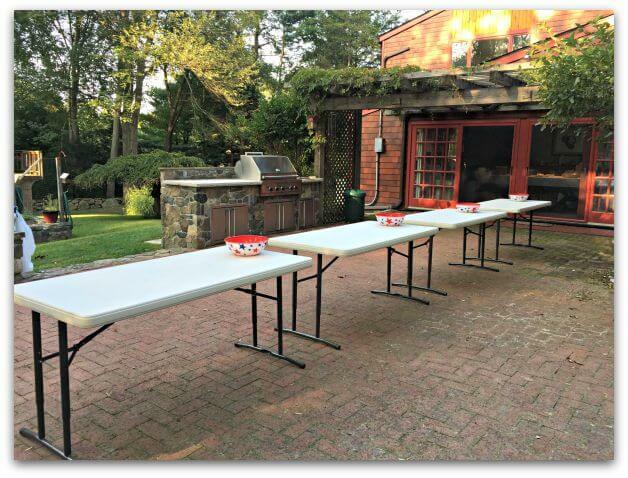 We set up a large folding table for each team. And they were given a bowl that contained cooking utensils. 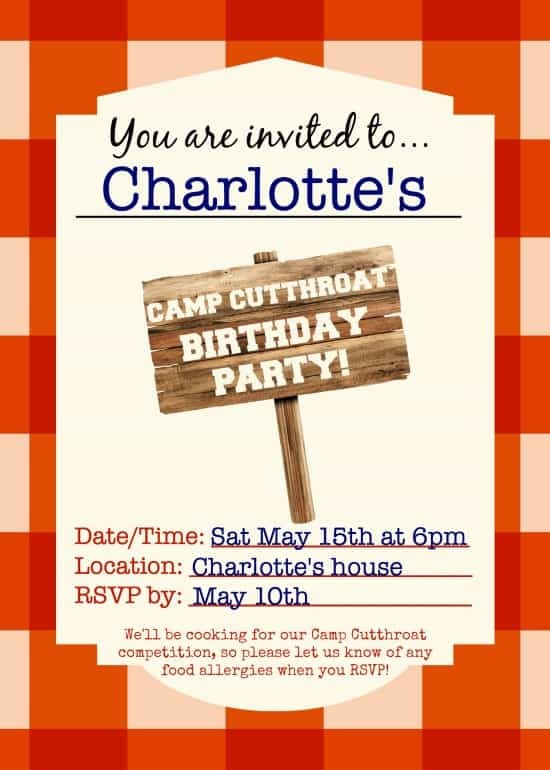 Our Cutthroat Kitchen Birthday Party Events! 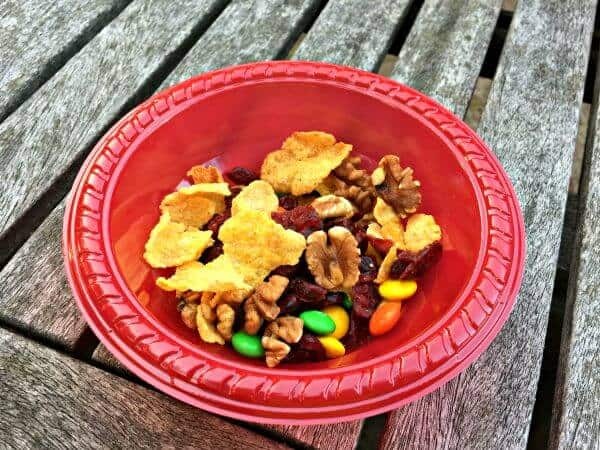 Create Your Own Trail Mix! 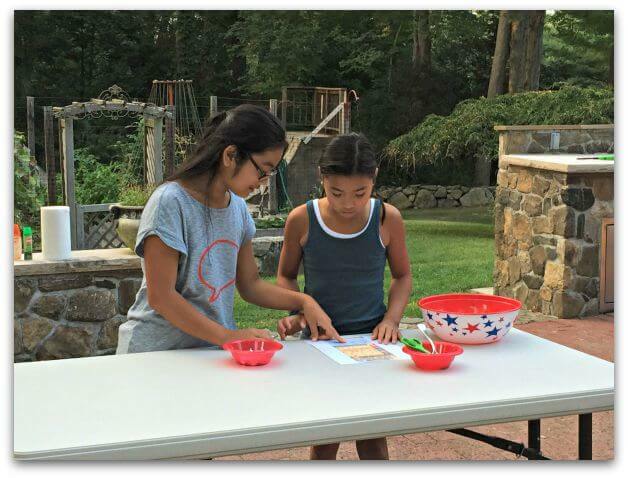 Teams were given 1 minute to look over the idea sheet and decide what ingredients they wanted to go for in the camp kitchen. 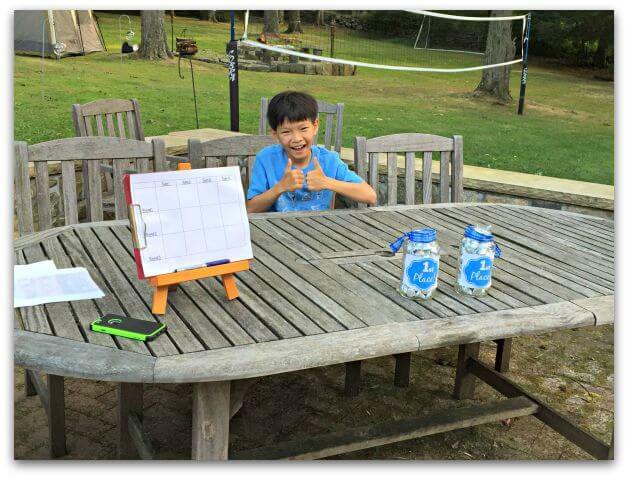 When our host announced “GO”, teams had 1 minute to get everything they needed from the camp kitchen (which was actually our dining room table). Teams were limited to 4 ingredients each (so everyone had a chance to grab items!) 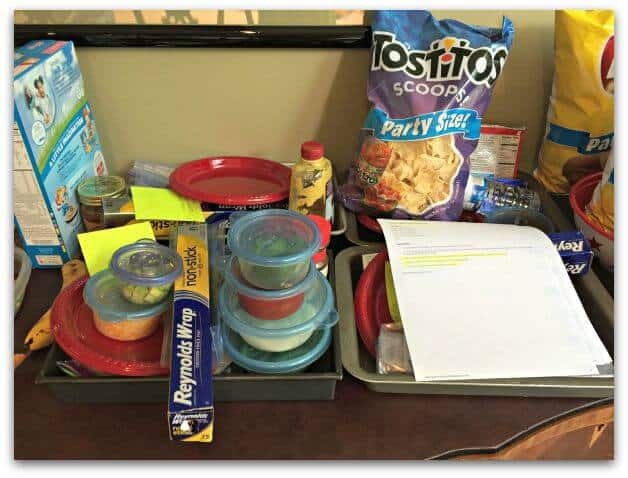 Next, teams were given 4 minutes to create their own unique trail mix. 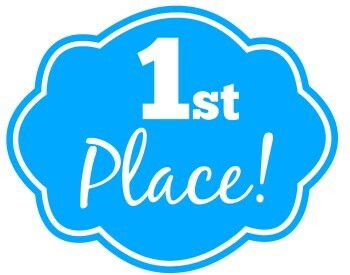 After the 4 minutes were up, each team gave a small sample of their trail mix to the judges' table and allowed the judges to taste the creations, offer comments, and then declare the winners of 1st, 2nd, and 3rd places. When our announcer said “GO”, teams could collect their ingredients from the camp kitchen, and start to read and prepare their recipes. 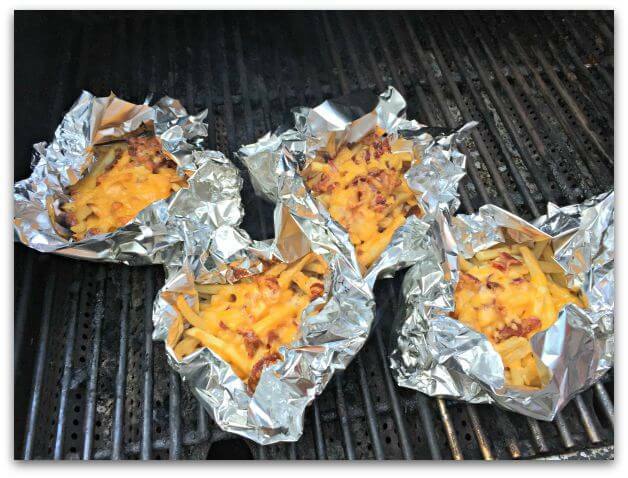 Teams were given 35 minutes to create their dish- and they had to give their prepared foil packets to the “Grill Master” (my husband) who cooked the packets according to the team's instructions. 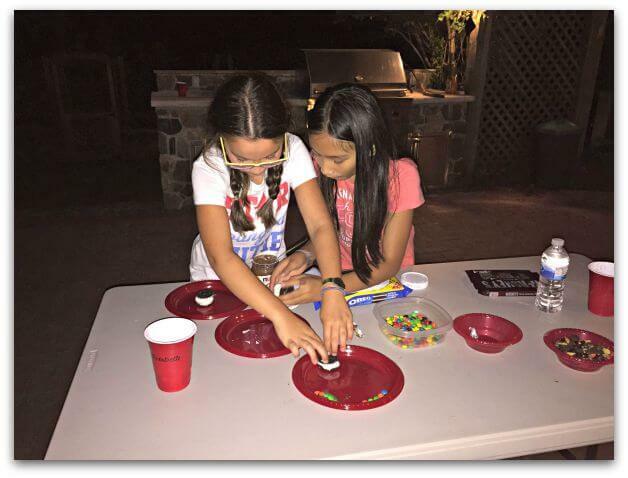 Competition #3: Create a Unique S'More! 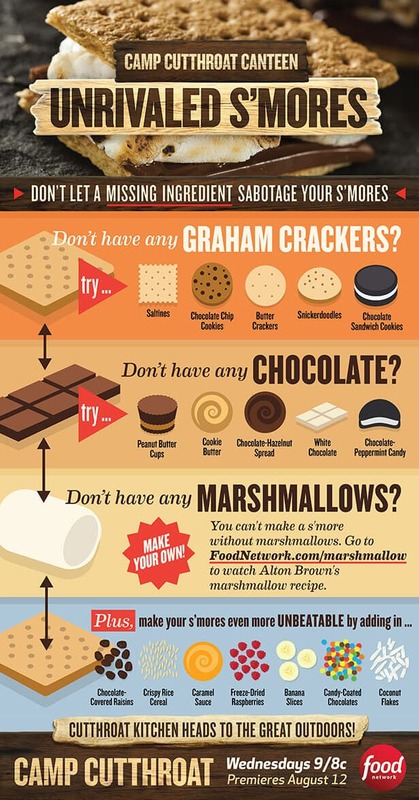 For this last round, teams were once again given an idea sheet to use, to help them think up a unique s'mores creation. 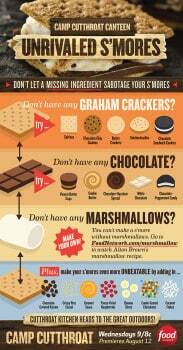 You can find a copy of the S'Mores Idea Sheet here. Teams were given 1 minute to look over the idea sheet and decide what ingredients they wanted to go for in the camp kitchen, but this time during the ingredient selection- we made teams take turns picking their desired ingredients one at a time- this gave each team a fair chance at “the good stuff”. As a judge, I have to say that this last round was my favorite- the teams put together some amazing new s'mores combinations- ones made with white chocolate, ones with Oreos and caramel, others with Biscoff cookies- they were delicious! Would You Rather, Party Favors and Breakfast! After the Cutthroat Kitchen part of the birthday party- the girls all moved into the tent to hang out and chat. I had already left this jar inside of the tent so the girls could play “Would You Rather”? 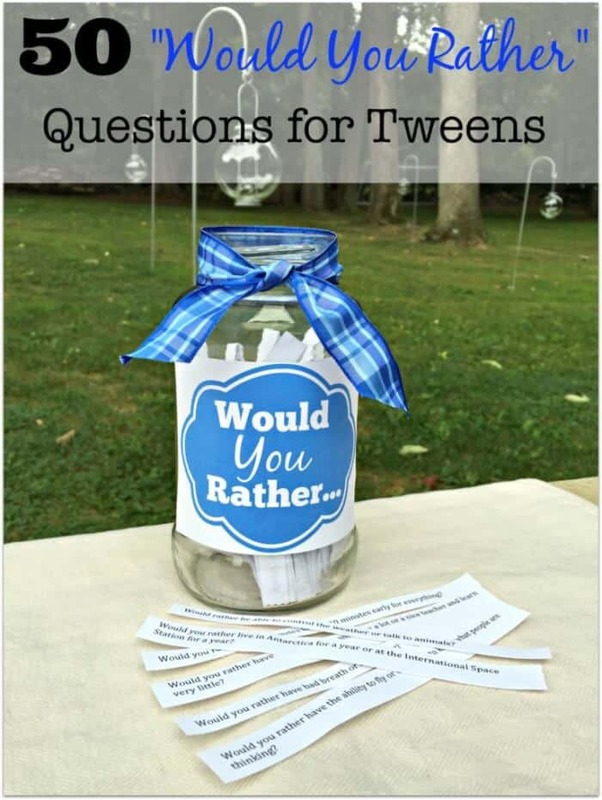 You can download the list of 50 “Would You Rather?” questions to create your own party game here! And I love, love, love to give a picture collage of the party guests as a favor- kids love to have pictures of their friends, and I am told by Moms all of the time how much their kids love these pictures- even years later! I used PicMonkey to create this college and added it to this picture frame! 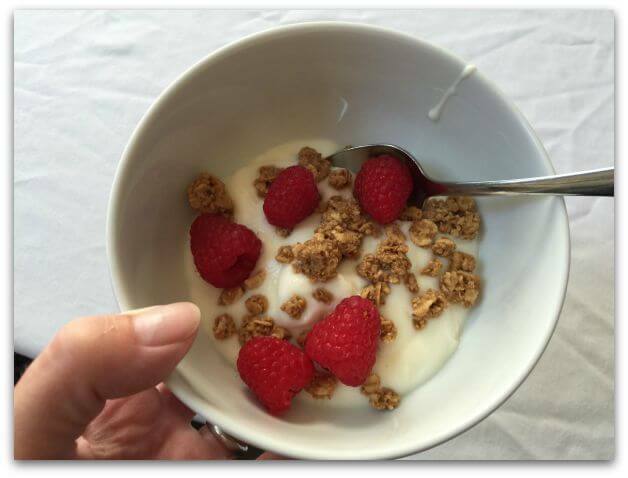 The next morning, I served our party guests a breakfast buffet that included Monkey Bread and “Make your own yogurt parfaits”. Then my husband and I helped the girls to pack up their sleeping bags and find their belongings before their parents came to pick them up! 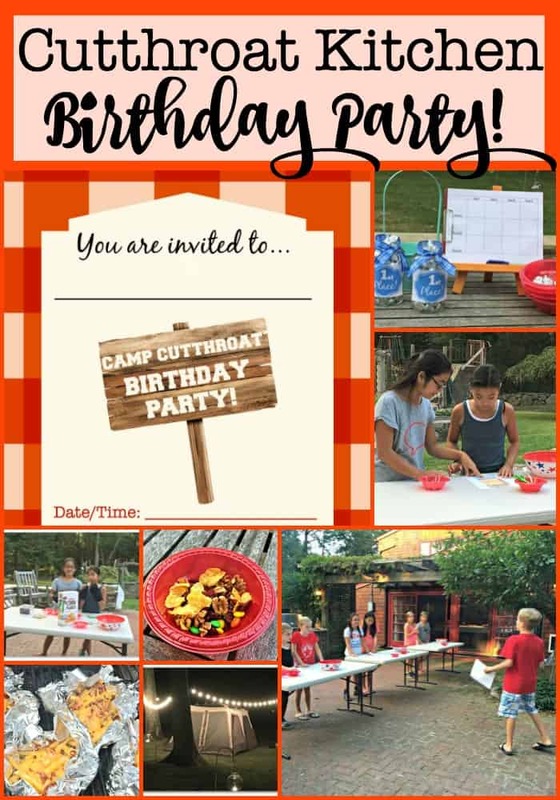 Would You Like to Download the Free Cutthroat Kitchen Birthday Party Printables? 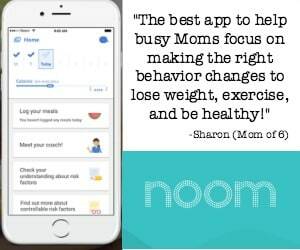 Simply sign up below to join the MomOf6 community and you'll be directed to a page with access instructions! 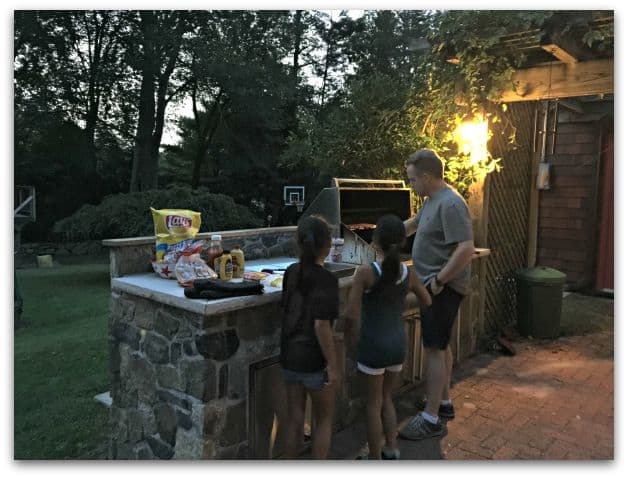 This was such a fun party to host- and my daughter and her friends had a great time! 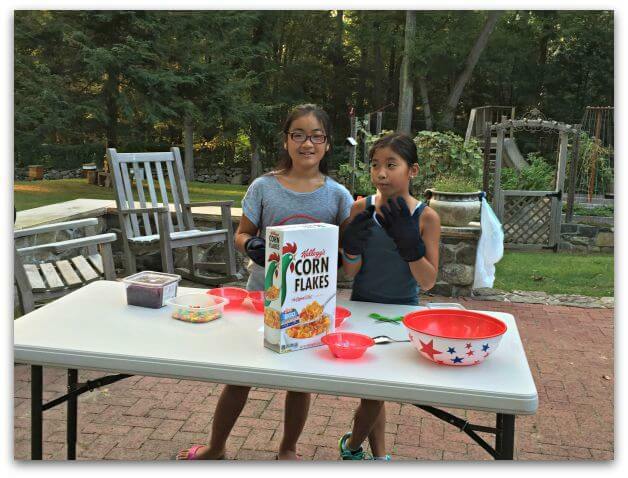 Do you think your child would love a Cutthroat Kitchen Birthday Party? 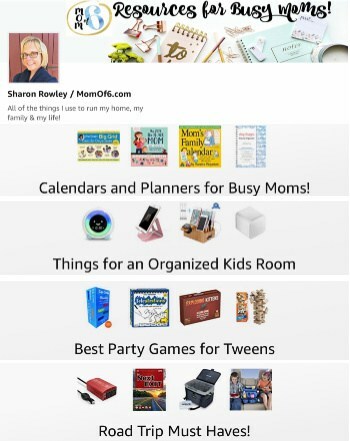 Looking for Some More Great Party Games, Crafts, & Activities for Kids?